We sell the best green K9 working dogs in the world ! Just ask us and we will provide you with information on dogs that are currently available in our company. Since august 2012 Global Training Academy added green working dogs to its program. Ask us for more information on any kind of working dogs you want to have. We will find the dog you are looking for. Dual purpose working dogs are selected on excellent retrieve and bite work. Only the best are good enough to become part of our stock. Single purpose working dogs are specialized in retrieve assignments. GTA selects dogs worldwide and our suppliers give high priority to our assignment methods. 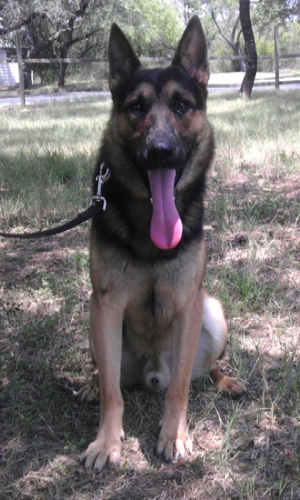 GTA makes sure that we have K9 working dogs available at any time. Just ask us for the best offers any time. If you want a visual look at our available working dogs at the moment, please check out the page ‘working dogs for sale‘. On the page you will find our best offers at that moment. Of course we deliver dual purpose as well as single purpose dogs. GTA has several excellent programs to train dogs and train handlers. Our police dog training program meets all possible standards in the world. Our green K9 working dogs are trained according those standards. At the same time our handler training is outstanding and also given according to the best standards. A combination is of course possible. Select your dog and at the same time our staff trains your dog and the handler. We have excellent training programs available. Please feel free to ask us about our training programs that are given at our facilities in Sommerset, Texas. Copyright © K9GTA. All Rights Reserved.